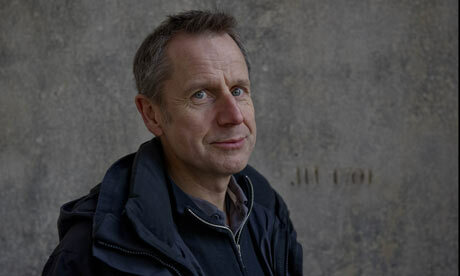 I’m always astonished when people tell me they’ve never heard of Jeremy Hardy. It’s hard to imagine life without his input. I first came across this charming and astonishingly funny man during my lengthy stint as a regular Guardian reader in the 1990s. Aside from the fact that his turns of phrase, initially unexpected alongside his rather serious byline photo, made me chuckle rather a lot, what caught my attention was his politics. For many of us left-leaning folks, Britain in the 1990s was all about making the Labour party less leftie, so it was always particularly gratifying to find a socialist within the pages of the country’s best Labour-leaning paper. It was also a shock to everyone when his column ceased in 2001, especially when the official reason was that it “wasn’t funny enough”. This was clearly nonsense, as is even evident from Hardy’s final column, and many assumed the paper’s editorial team simply thought (or were perhaps leaned upon to think) that Hardy’s views weren’t Blairite enough. Or, indeed, at all. Perhaps we shall never know for sure. Fortunately, Hardy’s quipping tones are rarely off the radio and his disarming grin is often seen on TV too. I was a fan of the 90s’ political satire show If I Rules The World in which he was a team captain appearing opposite Graeme Garden and presenter Clive Anderson, and his subsequent appearances on Grumpy Old Men and QI were magical. Of course, his regular slot on BBC Radio 4’s The News Quiz, upon which Have I Got News For You was based, is still unmissably wonderful (he has a great voice too – resolutely middle-class, which only makes you listen more carefully when he says what he says), as is his marvellous, rant-prone Twitter feed. And, come on who couldn’t love a man who says things like: “the only way you can ever accuse a Conservative of hypocrisy is if they walk past a homeless person without kicking him in the face” or “if you just took everyone in the BNP and everyone who votes for them and shot them in the back of the head, there would be a brighter future for us all”? This entry was posted on October 30, 2010 at 8:29 am and is filed under Jeremy....	You can follow any responses to this entry through the RSS 2.0 feed. You can leave a response, or trackback from your own site. His comedy series with Jack Dee was atrocious, put me off him completely. Must re-investigate though.